The advance of Russian armies in Western Armenia in 1915-16 did not give much hope for the restoration of Armenian statehood. However, at that time it seemed quite realistic that the majority of Armenian core lands would be united under Russian sceptre. All those hopes started vanishing in early 1917 as the Russian Empire collapsed and so did the Caucasus front. The planned operations for further advance were put on hold, the old commanders were dismissed and left the Caucasus Army and the new command kept awaiting new instructions from the republican government that never came. Meanwhile, the Russian Caucasus army entered the stage of decay due to inactivity, poor supply and the collapse of pre-revolutionary system of seniority and discipline. The whole units started self-willed evacuation. 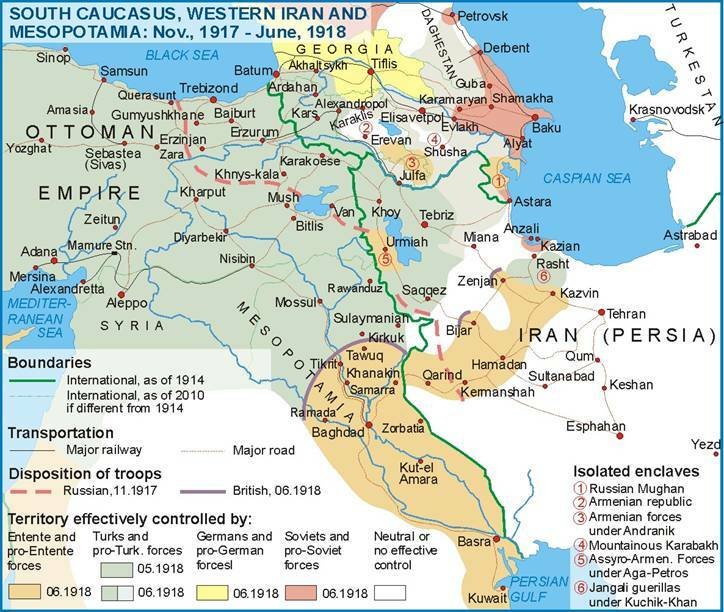 Under those circumstances, the cease-fire Agreement signed between Russia and Turkey on December 19, 1917 could postpone but by no means prevent Ottoman re-conquest of Armenia that started in early 1918. One should add to the above that the change of regime in Russia was accompanied by at least one breakthrough in the frozen Armenian question: On April 25, 1917, the Decree of Russian Provisional Government finally allowed the refugees from Turkish Armenia to move back to their abandoned homes in Russian-occupied areas. However, that permission came too late. Less than 200 000 refugees attempted to return to devastated Western Armenia and even lesser amount actually re-settled there. On the 12th of February, 1918, the Turks began recapturing the territories they had previously lost to the Russians and their Armenian collaborators, simultaneously massacring any remnants of the Armenian population they could still find in Eastern Turkey. 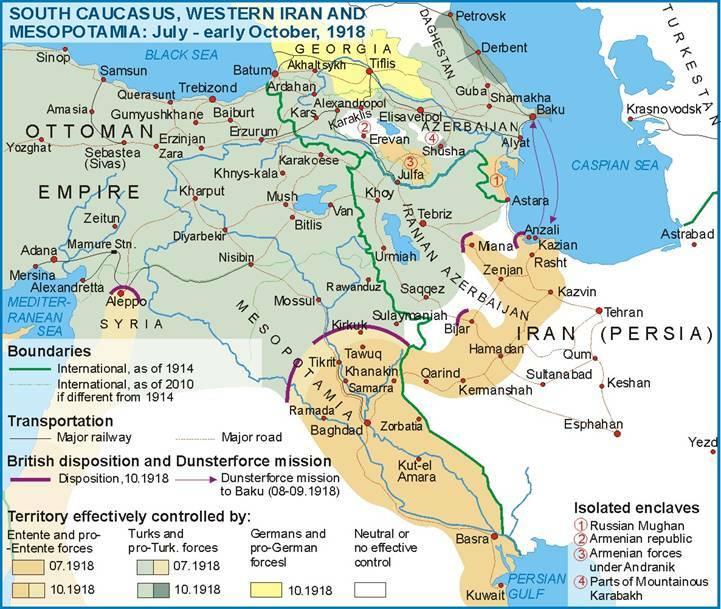 In the vacuum that remained as a result of the Bolshevik coup, the leading political parties of South Caucasus started seeking independence of the disintegrating Russian empire in a desperate attempt to prevent anarchy and protect the area from the Ottoman menace. 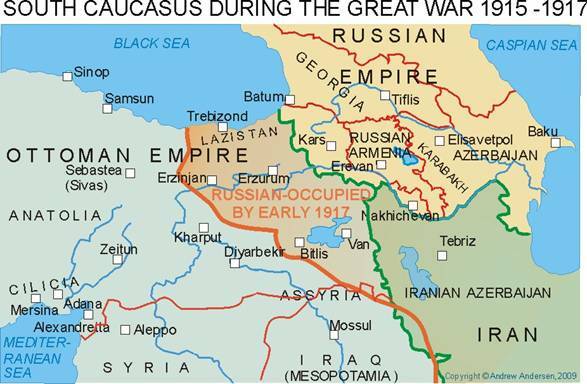 The Treaty of Brest-Litovsk signed on March 3, 1918, between Soviet Russia and the Central Powers confirmed Ottoman sovereignty over Western Armenia. The Soviets also agreed to cede to the Ottoman Empire the districts of Batum, Kars, Ardahan, Oltu and Kaghyzman. Refusing to accept the provisions of the Brest-Litovsk Treaty the Armenian- and Georgian-dominated political leadership of the South Caucasus chose to continue the war and on April 22 proclaimed in Tiflis the independence of Transcaucasian Federal Democratic Republic (TFDR). By that time all Western Armenia except Van was lost to the Turks and the Ottoman armies crossed the pre-war border advancing Kars and Batum. After a series of military defeats, TFDR agreed to accept the Treaty of Brest-Litovsk but this time its provisions did not seem to satisfy the Turkish government any longer and in early May, 1918 a peace conference opened in Batum. The conference demonstrated that there was no or very little consensus between Armenian, Georgian and Tatar (Azerbaijani) political elites in terms of the future of the South Caucasus. With the Tatars openly siding with the victorious Turks and Georgians desperately seeking German protection, the isolated Armenians remained loyal to the Entente and willing to fight for their existence as a nation. Meanwhile despite the peace conference going on, the Ottoman armies continued their advance until they were stopped by Georgian national Guard at the Battle of the River Choloki (April 16-17, 1918) and by Armenian army and militia at the battles of Sardarabad (May 21-29), Kara-Killisse (May 24-28) and Bash Abaran (May 21-24). These military victories of the new-born democracies in combination with some diplomatic support on behalf of the German Empire prevented total annexation of the Caucasus by the Turks and saved remaining Armenian population of the area from total annihilation. On May 26, 1918, the Transcaucasian Federation dissolved, and 2 days later an independent Armenian Republic was proclaimed. 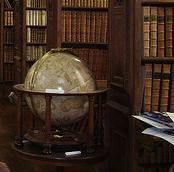 The birth of the first republic was facing economic disaster, Turkish invasion and political isolation. 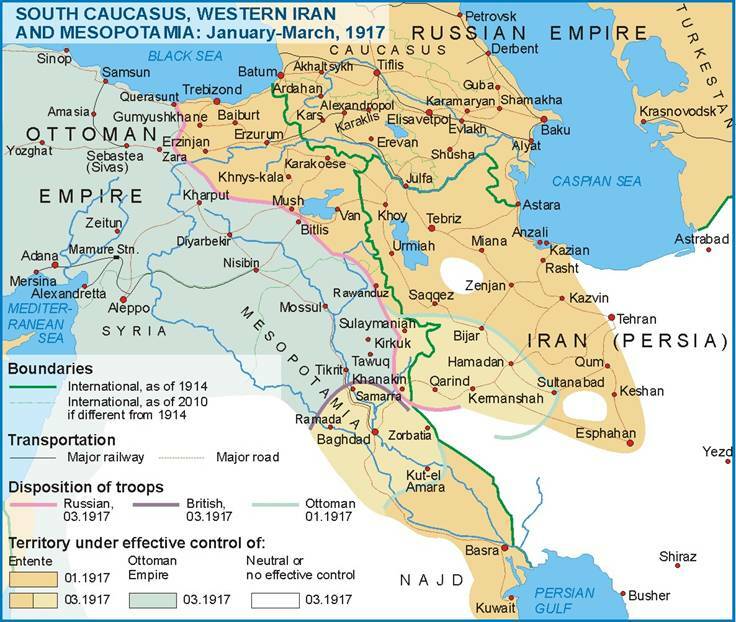 On June 4, 1918, a peace-treaty was signed in Batum, according to which considerable part of South Caucasus was assigned to Turkey, most of Georgia remained under German protectorate and the Armenian Republic was cut down to a tiny enclave around the cities of Yerevan and Vagarshapat (Echmiadzin) that embraced the county of New-Bayazet as well as the eastern parts of Alexandropol,Yerevan, Echmiadzin and Sharur-Daralaghez counties of the province of Yerevan. Turkey was also given carte blanche to act in Azerbaijan. By the end of summer 1918, Ottoman troops supported by the mainly Tatar “Army of Islam” took over most of the territory of what could be considered the former Russian Azerbaijan (the provinces of Baku and Elizavetpol) and marched into Baku where they massacred between 10 and 30,000 Armenians still residing in the city. In late September, 1918, once-cosmopolitan Baku became the capital of the new Azerbaijani state proclaimed earlier on May 28, 1918 in Tiflis. Meanwhile, contrary to the provisions of the Treaty of Batum, some Armenian troops under general Andranik continued guerrilla operations against the Turks from the mountainous area of Zanghezur, thus having formed another de-facto independent Armenian quasi-state formation there. At the same time, the Armenian-inhabited part of Karabakh (including its northern areas) enjoyed relative peace in August and September of 1918 administered by the People’s Government of Karabakh elected by the First Assembly of Karabakh Armenians. It was only at the very end of September when Shusha, the capital of Mountainous Karabakh did submit to the Ottoman-Azerbaijani conquest. As for the rural areas of Mountainous Karabakh are concerned, they formed several enclaves (Khachen, Jraberd, Varanda, Dizak and a few smaller areas of Northern Karabakh) that were kept under control of local Armenian warlords until the very end of the World War. A.B. Kadishev, Interventsia I Grazhdanskaja Vojna v Zakavkazje (Moscow, 1961), p.153.